From lightsabers and beasts to food and clothing, Star Wars: The Visual Encyclopedia is a virtual museum of a book. Explore beautiful galleries with more than 2,500 images, and discover facts about Star Wars culture, science and geography. 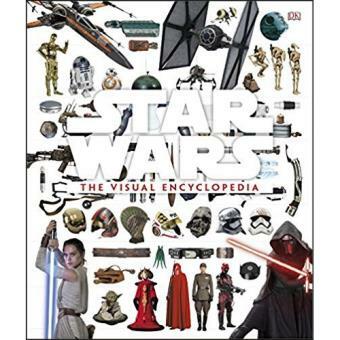 Throwing the spotlight onto carefully curated images and beautiful photography, Star Wars: The Visual Encyclopedia showcases characters and objects from episodes I-VII, Star Wars Rebels, Star Wars: The Clone Wars and Rogue One: A Story Wars. This stunning visual tour of the Star Wars galaxy celebrates everything from extreme architecture and hardworking droids, to ferocious sea creatures and decadent royal gowns. Sections include: Geography, Nature, History, Culture and Science and Technology. Foreword by Dennis Muren, Senior Creative Director, Industrial Light and Music.